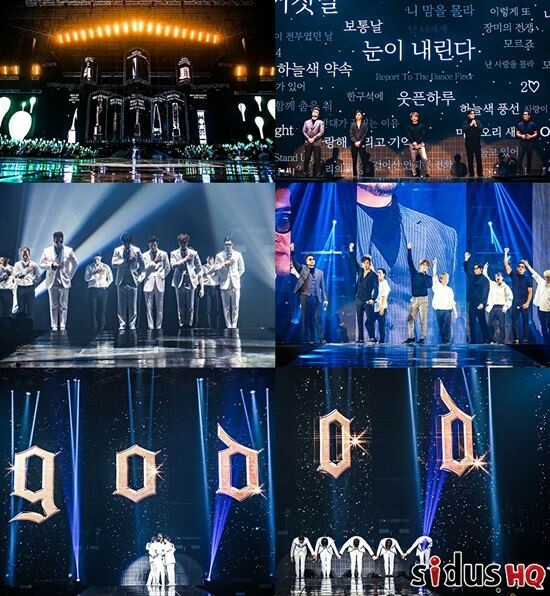 [THE FACT] The group ‘g.o.d’ is presenting special memories as a gift through their 20th anniversary concert for a day. sidusHQ, agency of ‘g.o.d’, released their point of view on the 12th, a day before the god GREATEST 20th Anniversary 'PRESENT'. The concert was planned to show the glorious moments of g.o.d as its title ‘GREATEST. From the opening VCR until the closing comments, it was expected to be made in abundance and from the 1st ~ 8th full albums, they only selected the songs that recorded top 1. Everything was performed in live together with bands. The perfect live stage, as well as full of unique performance and humorous stage manners of 5 colored attractions were planned. Since it was only for one day, ticket reservation was very competitive. Concert related keywords were appearing in portal sites and the reservation site was paralyzed due to the many fans connected at the same time.